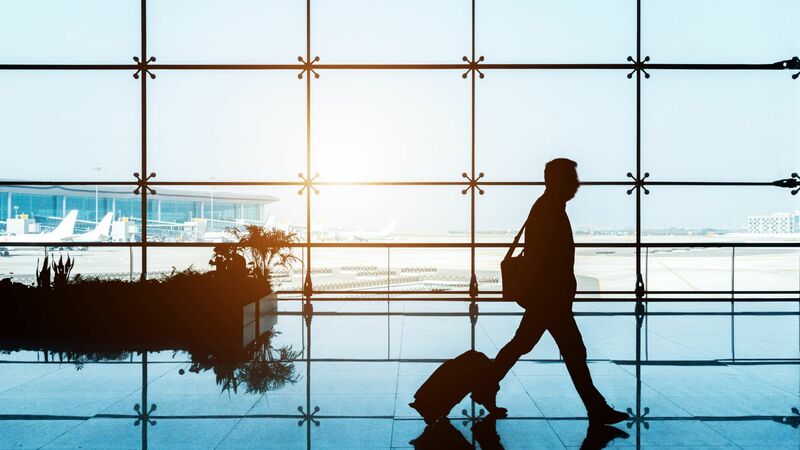 We know the original “Keep Calm and Carry On” slogan wasn’t initially intended to have anything to do with luggage, but we really do believe in skipping the checked bag whenever possible. With all of your belongings on board, you can take comfort in knowing everything you'll need upon landing is with you — not headed to a different destination because it didn’t make the connection or lying alone on a tarmac somewhere, probably in the rain, which is how we tend to visualize our luggage when we're feeling particularly anxious watching dozens of not-your-bags roll out onto the baggage claim carousel. 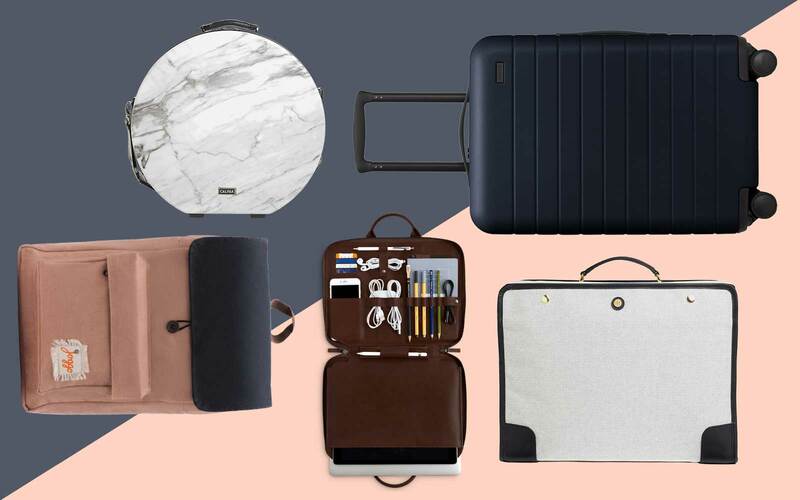 And less stress isn't the only pro to going carry-on-only. A carry-on bag is also much easier to handle. Have you ever had to schlep a 50-lb. bag up four sets of broken escalators to catch a train that’s about to depart? Trust us, the extra three pairs of shoes won't be worth it again. Though, if you're a very clever packer and can squeeze quite a lot into a small space, you generally won’t have to worry about weight limits like you do with a checked bag. As long as you can compress that thing back to its original size dimensions and lift it above your head without throwing your back out, you can fill a carry-on with bricks and no one will call you out. Except maybe the TSA's Instagram account. 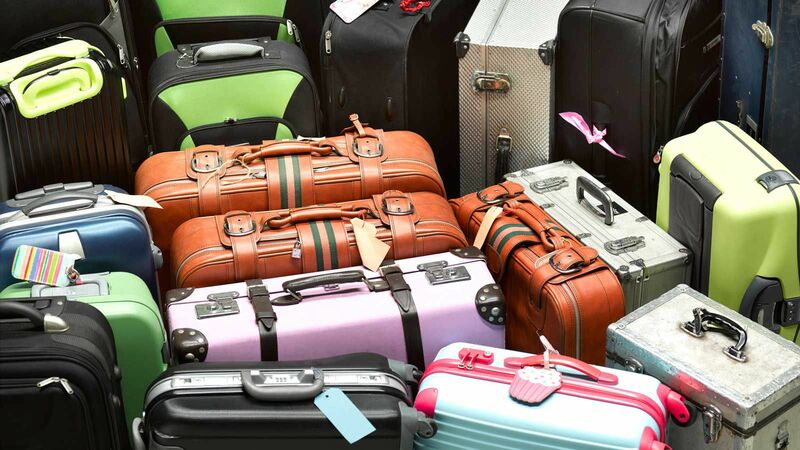 Here are a few more helpful points to consider when choosing your new carry-on luggage. 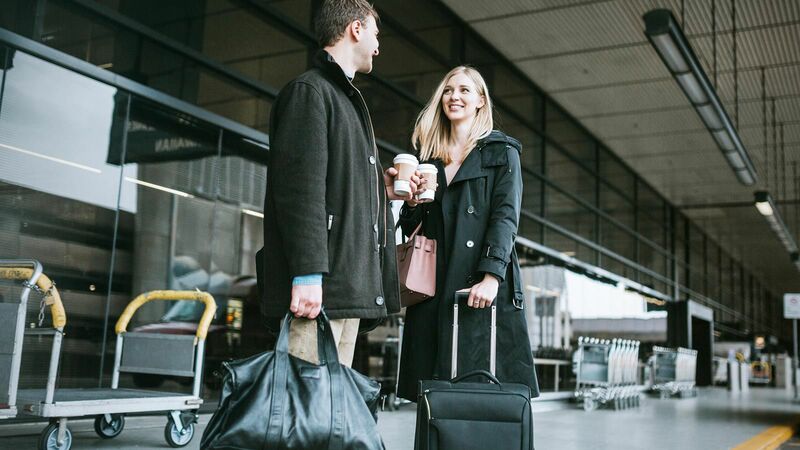 While there are generally only a few inches of difference between carry-on luggage dimensions you'll want to pay attention to the carry-on size restrictions of the airlines you fly most often. A good rule of thumb for domestic U.S. flights is to adhere to suitcases sized 22" x 14" x 9". If you're often flying internationally, you may want to opt for a bag that stands at 21 inches instead, just to be sure you won't run into any issues when boarding. I've found that international carry-on luggage rules tend to be a bit more strict, especially if you're flying with a budget carrier. If you always seem to be forced to gate check, you may want to opt for a soft-sided bag. 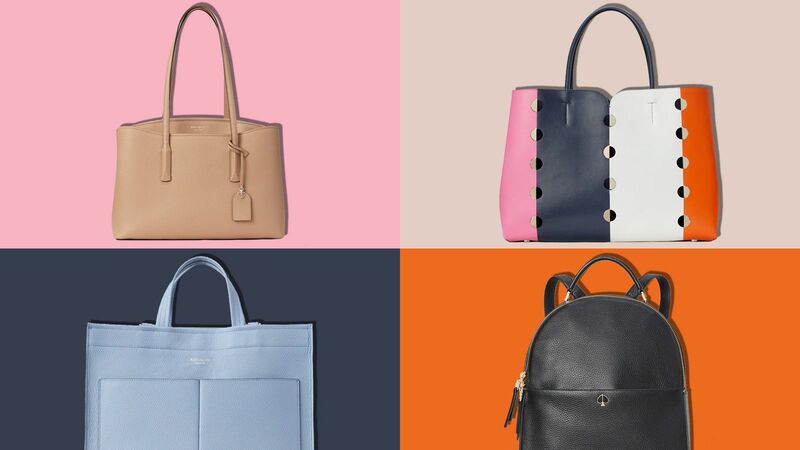 They generally hold up best to wear and tear, though hard-shell bags are adopting more aesthetically durable materials as their popularity grows. Hardside luggage is generally a little more protective of what's inside, while softside bags may allow you to squeeze in an extra bit of baggage for the way home because the fabric has that added give. Spinner luggage has four wheels, usually multidirectional, that will allow you full control of the bag. 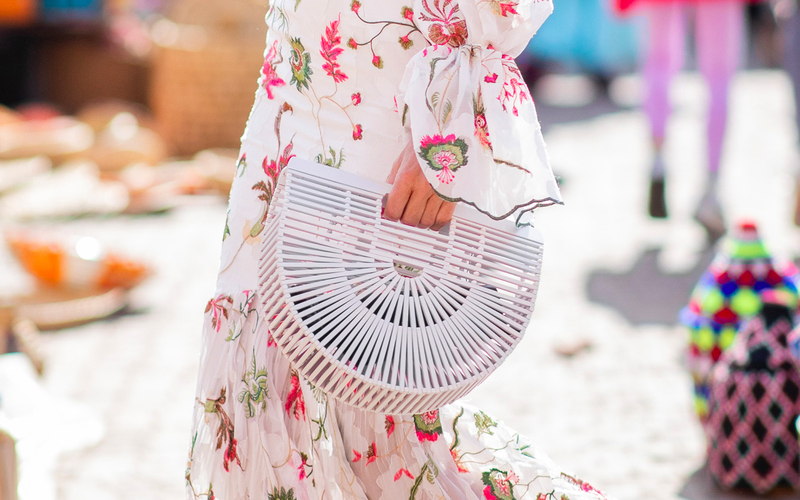 This is helpful if you feel more comfortable wheeling your bag beside you when walking instead of hauling it behind you, and if navigating the bag down tight airplane aisles always seems to be a struggle. Do keep in mind, however, that two-wheeled suitcases don't have to lend as many inches dimension-wise to the wheels — so you may be sacrificing already precious packing space if you opt for a spinner. Once you receive your bag, test it out before your trip. Did you just like the look of it or is it really, functionally the best suitcase for how you travel? Stuff it full and wheel it around to see how it handles. Pick it up and lift it over your head to mimic putting it in the overhead bin. Familiarize yourself with all of the pockets and features. Even if you've read tons of luggage reviews and bought a bag from one of the best luggage brands, you'll want to evaluate the quality before traveling with it, because if there's one true law of luggage it's that if your luggage is going to break, it will absolutely find the most inconvenient time during your trip to do so. 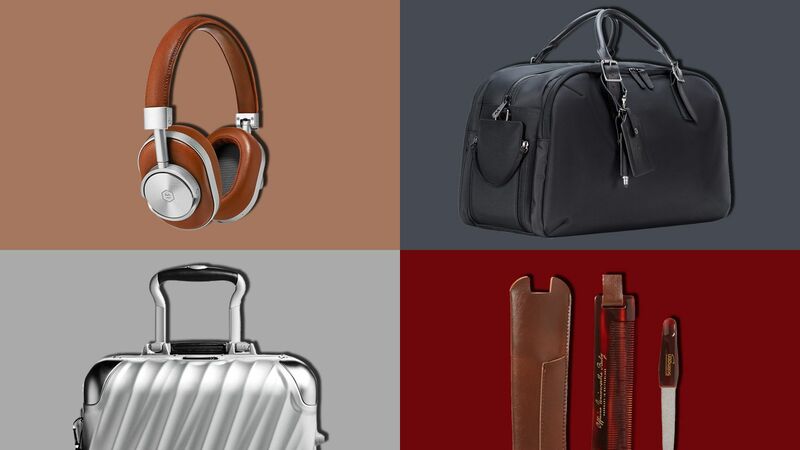 Check out our list of the best luggage choices in every category and keep reading for even more details on each. This glistening suitcase really is the full package. The Sympatico carry-on is one of Briggs and Riley’s top sellers. It’s equipped with double swivel wheels, an impact-resistant polycarbonate shell, and a pretty incredible compression system that you can simply snap back down to regulation size after packing 25 percent more inside. With the lifetime warranty — the best in the business — to boot, it’s absolutely worth the investment. 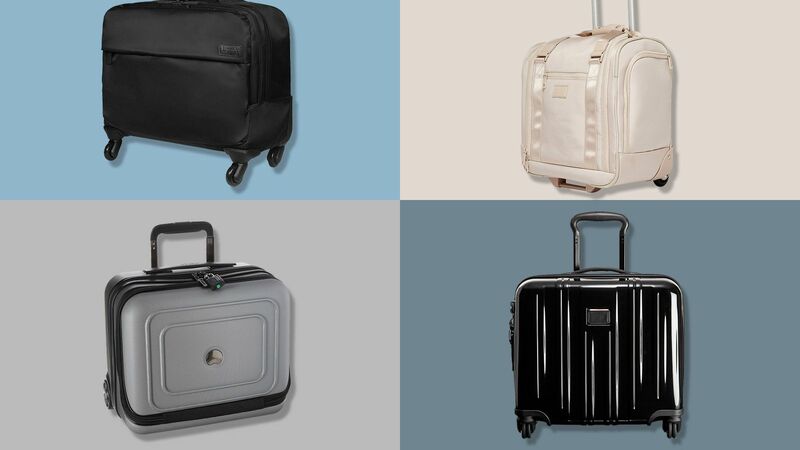 Travelpro has been an industry leader since its founder, pilot Bob Plath, first added wheels to a suitcase to create the Original Rollaboard back in 1987. And the company’s commitment to advancing technology is still super evident in its new Platinum Elite line. This spinner incorporates a contoured, comfortable handle, wheels that are aligned by built-in magnets for effortless rolling, damage-resistant zippers, a fold-out suiter, and tons more organizational components into a sleek, leather-trimmed package. And all of that’s offered at a reasonable price point. 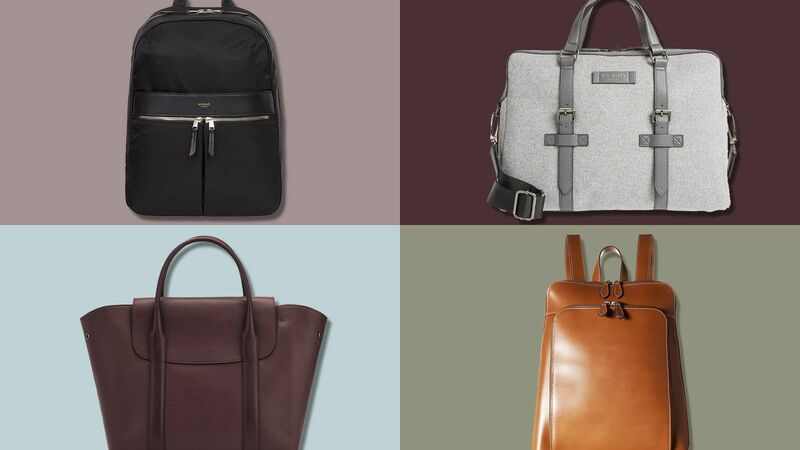 Samsonite is a household luggage name for a reason; it’s been crafting quality travel bags for more than a century. The just-released Spettro, however, is decidedly modern. Its four multidirectional spinner wheels allow for 360 degrees of easy wheeling, meaning no struggles as you navigate your way down narrow plane aisles. Inside, there are two built-in packing cubes and and three additional zippered pockets to make sure everything is securely packed and organized. And outside, the honeycomb texture atop the polycarbonate shell makes it resistant to scratches. Organized travelers will be delighted to pack up this roller. Aside from the spacious, expandable main compartment, there is a removable garment sleeve, zippered external pockets, and a U-shaped front pocket with padded sleeves for both a laptop sized up to 17 inches and a tablet. The robust wheels are worth noting, too. Bring on that cobblestone. 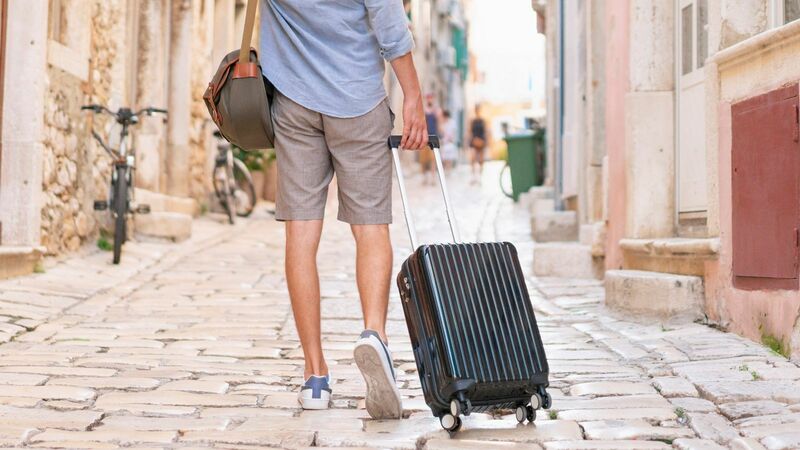 French luggage company Delsey released its lightest hardside suitcase yet earlier this year. The elegant Turenne weighs in at only 4.8 pounds and is made of 100 percent virgin polycarbonate to withstand the wear and tear of a gate check, if needed. Two packing bags, intended for shoes and laundry, are included. The whipsmart team behind startup travel brand Away realized that the hand baggage sizers at the airport are actually slightly larger than the 22” x 14” x 9” dimensions they claim to be — and they capitalized on that extra space with The Bigger Carry-on. You also can choose to purchase one with or without the built-in power bank, now, if it’s a feature you don’t see yourself using often. It’s a great pick if you’re mostly flying domestic on airlines with generous sizing requirements like Southwest or Spirit, but we’ve never had a problem carrying it on with Delta or JetBlue either. If you want to be able to comply with international carry-on luggage requirements, this is your bag. Another excellent pick from Briggs & Riley, this Baseline model also incorporates the brand’s revolutionary zipperless CX compression-expansion tech. The ballistic nylon fabric is designed to resist abrasion, wear, moisture, and dirt, so it’ll stay this sharp-looking over years of travel. Plus, there’s a quick-access pocket between the handle bars on the back which, if you ask us, is the perfect place to store your passport and boarding pass while you’re between security and boarding. Though it be but little, this bag is mighty. The polyester exterior is both water-repellent and stain-resistant while its high-performance inline skate wheels make for effortless navigation. At just 15.25" x 13" x 8", it's sized to fit snugly beneath all standard airline seats. And it even comes with a matching hanging toiletry organizer to stow all of your 3.4-or-less-ounce liquids. If you only travel a few times a year, it’s definitely worth considering a more affordable suitcase. 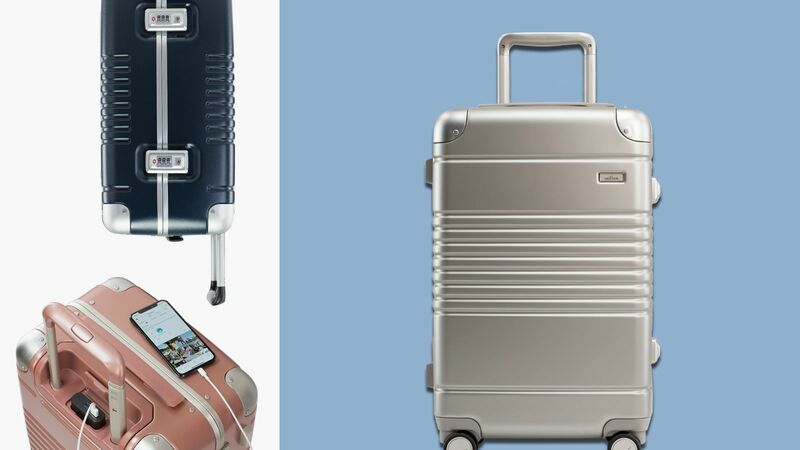 More than 600 five-star reviews suggest the online retailer giant’s own line is certainly on to something in the luggage category. As the name suggests, this little polycarbonate spinner packs in all the basics: TSA locks, expansion, zippered pockets, and an internal compression system to keep belongings secure and as wrinkle-free as possible. You may never realize how much time you're wasting with zippers until you try out a suitcase that clasps shut. 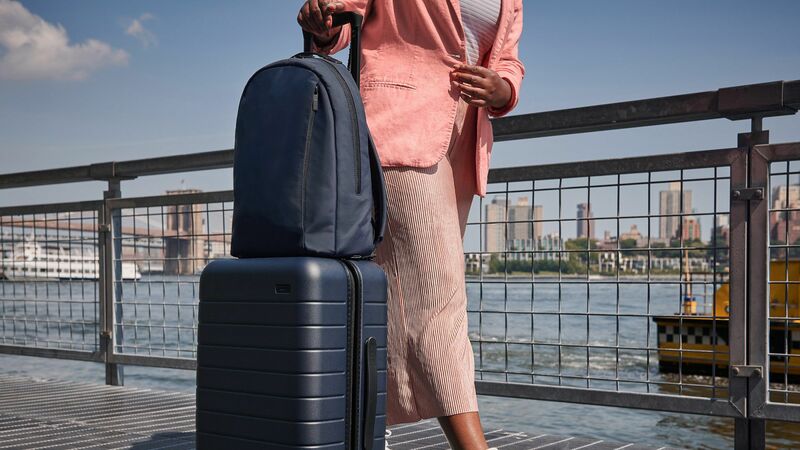 This carry-on from luggage startup Arlo Skye — which was founded by Tumi and Louis Vuitton alums — checks all the boxes of today's busy traveler. It's got a durable shell, a removable charger, Japanese Silent Run wheels, and an elegant yet simple design. 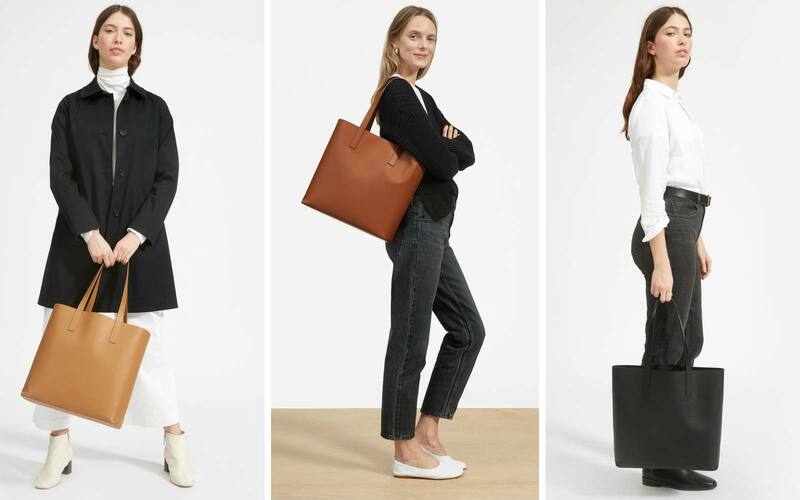 Calpak never sacrifices quality for style, and this new line, co-designed with celebrity hairstylist and frequent flier Jen Atkin, is a step up on both sides of that coin. The Hinomoto swivel wheels roll like a dream, the carry handles are comfy to grip, and the two-clasp closure snaps shut like a trunk, so you don’t have to fumble with zippers to take out your toiletries for TSA. There are four colorways: gold, pink, red, and black, and each comes with a set of super-fun stickers for customizing either the shell or the clear plastic protective sleeve that comes with the case. 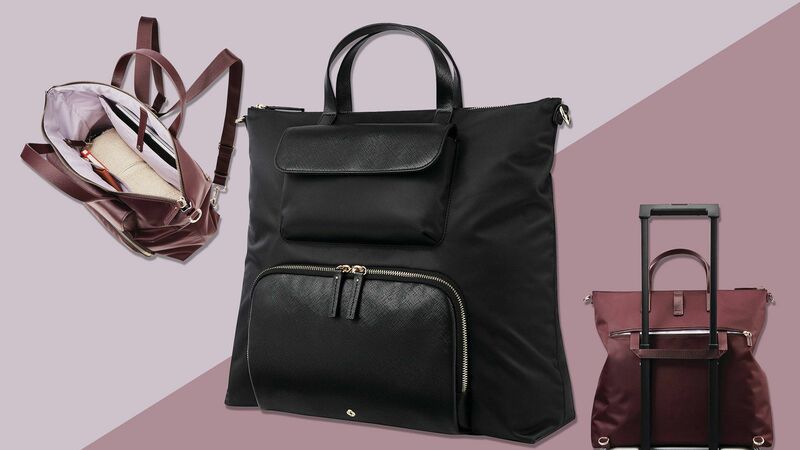 We’re slightly obsessed with this clever weekender bag, which essentially functions like the origami of packing. 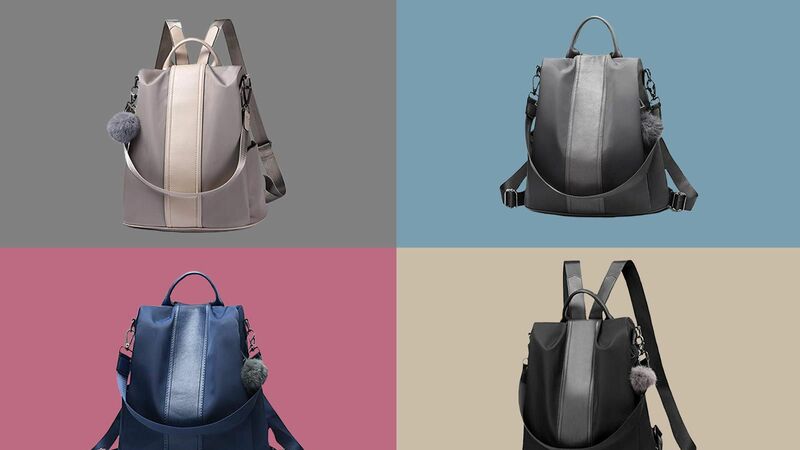 Rendered in gorgeous top-grain pebbled leather, the bag zips open so that it’s totally flat and can store up to two suits around the outside structure. Then, zipping it back together will give you room inside for shoes, accessories, and more. It’s also available in a women’s version, which has different pocket configurations. 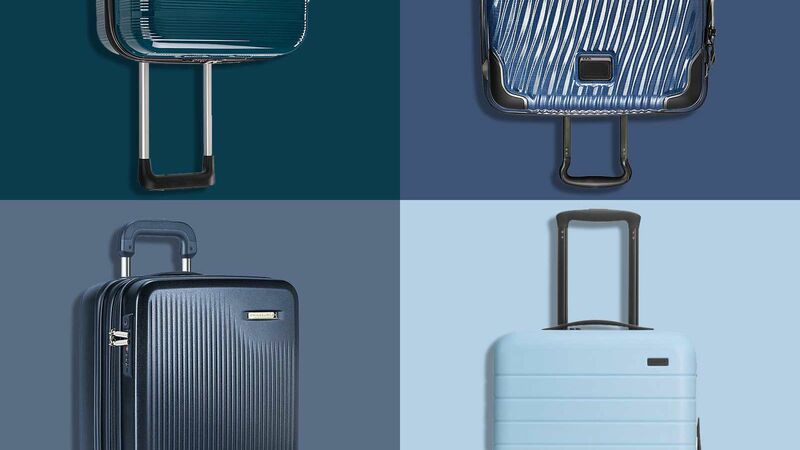 Rimowa’s grooved suitcases are nothing short of iconic; it’s no wonder the brand has built a following of loyal A-list clientele. Not only are its cases made to look good, they’re made to be used — really used. They’re water-resistant, secure, and so very strong for how lightweight they are. And all of the dents, scars, and stickers you may pick up will only add character, telling micro-stories of the places you’ve been. 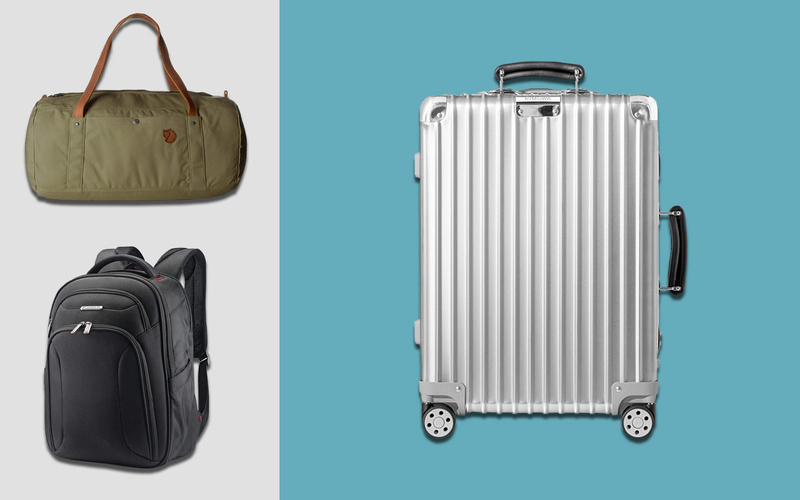 This carry-on by Tumi is the perfect example that a suitcase doesn't need to sacrifice style for durability. Part of the brand's lightweight Latitude collection, it's built to stand up to hundreds of trips, with a new, reinforced wheel system, bumpers to guard common impact zones, a sturdy telescoping handle made of aircraft-grade aluminum, and a specially woven material that's designed to flex and bend on contact, protecting whatever's inside. Almost 5,000 reviewers have given this best-selling wheeled duffel a 4.6-star rating on eBags' site — safe to say it's a crowd favorite. It's super compartmentalized — much more so than your average one-compartment duffel — with two main packing sections, a divider, and plenty of auxiliary pockets, too. The two wheels are quiet and smooth to roll. 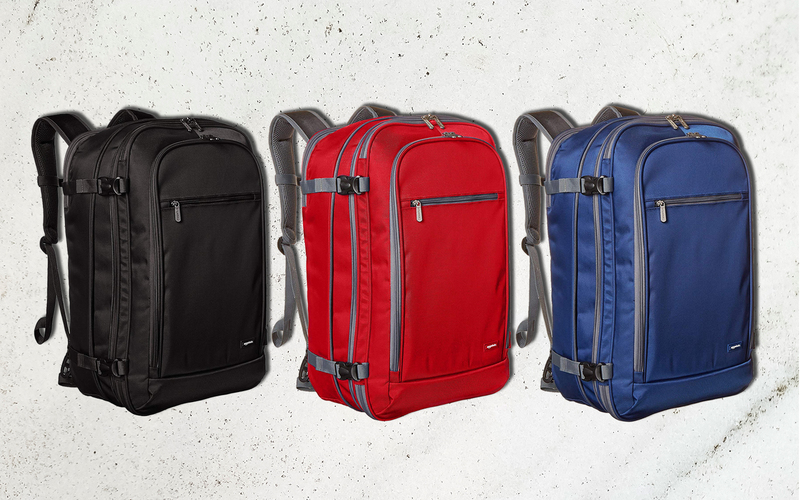 The four external compression straps will make sure your contents stay secure. 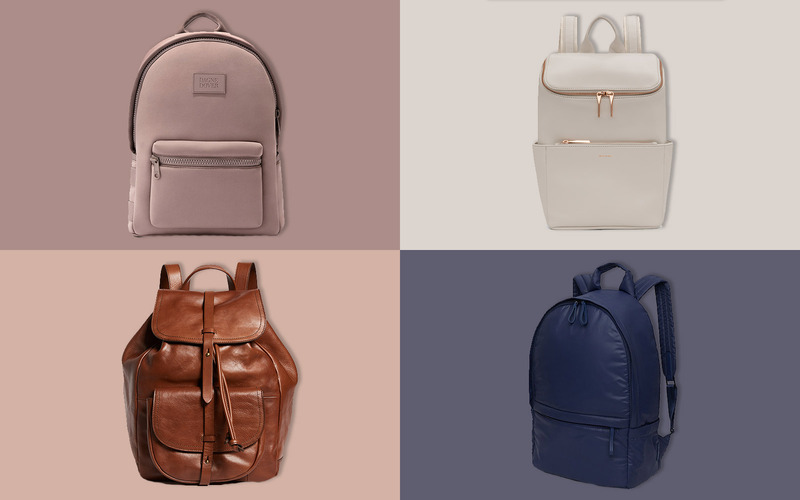 And it's available in eight colorways, so there's sure to be one for every traveler's style. 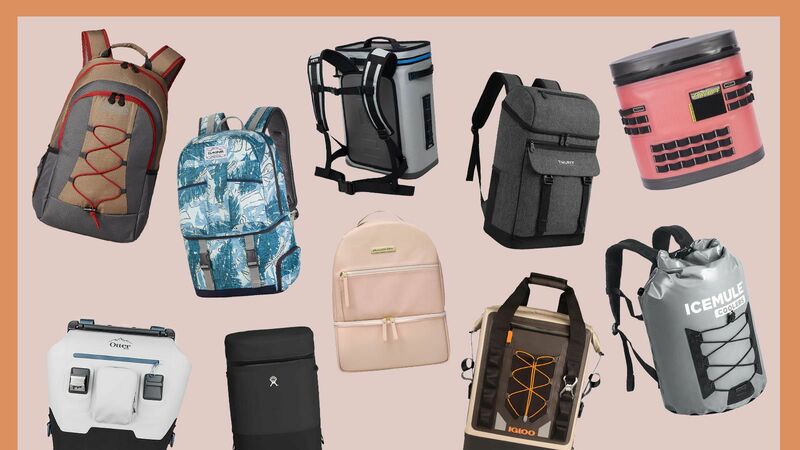 Available in men's and women's suspension, this carry-on sized backpack has a daypack look, but can pack in several days worth of travel goods. There's a separate weatherproof and padded tech compartment for your laptop and tablet, zippered side water bottle pockets, a tuckaway hip belt, and many more features for comfort and organization. If you’re bringing a weekend’s worth of clothes on board with you, might we recommend also investing in some of the brand’s popular Pack-It packing cubes?